Weightless formula with comfortable wearability and vanilla scented. Mirror-like glossy finish with a sparkle effect. The flat-paddle shaped applicator delivers colors with precision and shapes the lips. 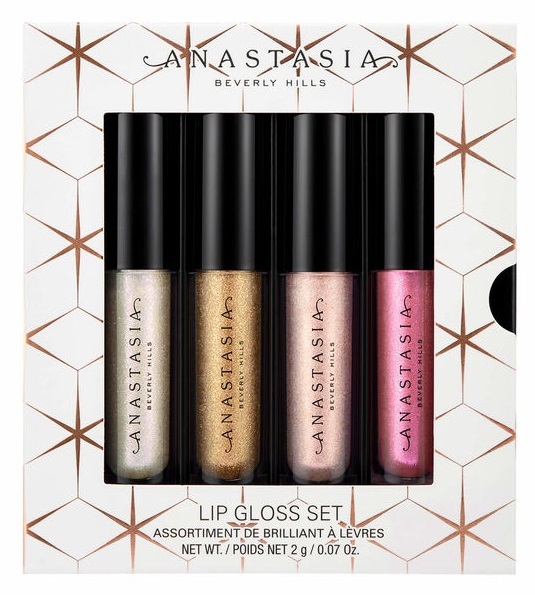 The Anastasia Beverly Hills Lip Gloss Set is available is available online at www.anastasiabeverlyhills.com, www.sephora.com and www.ulta.com. 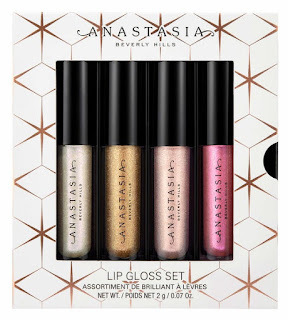 Like ABH on Facebook: https://www.facebook.com/ABHcosmetics; Follow ABH on Twitter: @ABHcosmetics; Follow ABH on Pinterest: https://www.pinterest.com/ABHcosmetics/; Follow ABH on Instagram: https://www.instagram.com/anastasiabeverlyhills/ and Subscribe to ABH on YouTube: https://www.youtube.com/user/AnastasiaBeverlyHill.